Typically, the Second Circuit, the leading circuit on this issue, did not recognize containers as packages. Beginning with Judge Friendly’s pronouncement that containers rarely qualify as packages more than four decades ago, the Second Circuit views any claim that a container is a COGSA package with considerable scepticism. Monica Textile Corp. v. S.S. Tana, 952 F.2d 636, 1992 AMC 609, (2d Cir. 1991); Leather’s Best, Inc. v. S.S. Mormaclynx, 451 F.2d 800, 1971 AMC 2383 (2d Cir. 1971) (Friendly, C.J.). As a result, courts following the Second Circuit’s analysis will see little persuasive power in a bill of lading’s boilerplate statement that ocean containers will be considered COGSA packages. See generally Monica Textile Corp., 952 F.2d 636. 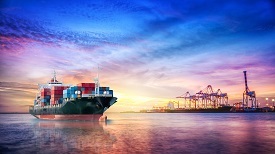 In addition to boilerplate pronouncements, the factual circumstances behind how individual items are “wrapped, bundled, or tied” inside the container will not, without more, sway courts following the Second Circuit to rule that ocean containers are COGSA packages. Mitsui & Co., Ltd. v. Am. Exp. Lines, Inc., 636 F.2d 807, 822, 1981 AMC 331 (2d Cir. 1981) (Friendly, C.J.). Notwithstanding the foregoing, the Second Circuit has at times ruled that containers can be packages: “if the bill of lading lists the container as a package and fails to describe objects that can reasonably be understood from the description as being packages, the container must be deemed a COGSA package.” Binladen BSB Landscaping v. M.V. Nedlloyd Rotterdam, 759 F.2d 1006, 1015, 1985 AMC 2113 (2d Cir. 1985). See also Peter Rosenbruch v. Am. Exp. Isbrandtsen Lines, 543 F.2d 967, 1976 AMC 487 (2d Cir. 1976), cert. denied, 429 U.S. 939, 1976 AMC 2684 (1976). In an August 2017 decision in the SDNY, the rationale behind the “container=package” was again reiterated and upheld. In Mapfre Atlas Compania de Seguros S.A. a/s/o Tecnomega v. M/V Loa and Compania Chilena de Navigacion Interoceanica SA and Genshipping Corp., Docket 15 CV07876, (decision attached), District Judge Sweet looked at the Bill of Lading, and under the “No. of Pkgs.” Column, the number “1” was clearly indicated. Next, looking to the “Description of Packages and Goods” column corresponding to that single package, the Bill of Lading said “1*40’HC Container S.T.C. [Said to contain]” with “989 Pieces Computer Parts.” Since the Bill of Lading did not indicate how the computer pieces were packaged, the Court held that the container itself was one package and limited liability to $500. Thus, in this case, the use of the word “pieces” had liability consequences amounting to thousands of dollars. Until recently, inverse condemnation remained a relatively arcane area of California law. A spate of wildfires, spawning litigation by homeowners and their subrogating insurers, has breathed new life into this liability theory. Inverse condemnation is an eminent domain action initiated by the property owner, rather than the government. Essentially, it is unintended eminent domain-i.e., the defendant did not intend to condemn/damage your property, but, having done so, is now required to pay the fair market value of the damaged property. Its underpinnings are found in Article I, section 19 of the California Constitution which prohibits private property from being taken or damaged for public use without just compensation. California law mandates that the liability issues in an inverse case be tried by the Court, reserving damages to the jury. Further, as inverse is a Constitutional remedy (as opposed to a tort theory) a finding of fault on the part of the defendant is not required in a fire case. Other than in so-called “water/flood cases” (where the rule of reasonableness applies), inverse is essentially a strict liability cause of action. Unlike a dangerous condition of public property case, an inverse condemnation case does not require the timely filing of a government claim or notice to the public entity of a dangerous condition. As an added incentive, California law statutorily permits recovery of reasonable attorney’s fees and expert costs in inverse condemnation cases. 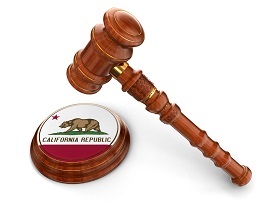 Recognizing the Court’s role in determining inverse liability, the California legislature in 2001 enacted Code of Civil Procedure section 1260.040. That statute permits either party to move the Court for a ruling on any evidentiary or other legal issue determining the right to compensation. Procedurally, the motion must be heard no later than 60 days prior to commencement of trial on the issue of compensation and must be heard by the trial judge. Although there is a dearth of legal authority interpreting this statute, Dina v People ex rel. Dept. of Transportation (2007) 151 Cal. App. 4th 1029 provides excellent insight into its scope. The Dina court, in affirming the granting of a motion under 1260.040, held that the Court is permitted to make a liability determination and weigh the evidence to adjudicate that issue. In so holding, the Dina court differentiated a 1260.040 motion from a summary judgment motion-i.e., a triable issue of fact will not defeat the 1260.040 motion. This distinction is, of course, extremely important as it provides the trial judge an excellent opportunity to dispose of inverse liability issues without the necessity of a bench trial with live witnesses. Our office recently prevailed against a public utility on a 1260.040 motion in a case seeking damages in excess of $10,000,000. 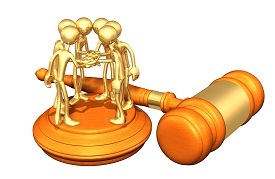 Now that the liability issue has been adjudicated in our client’s favor, we are in an extremely strong negotiating position at the upcoming Mediation. In any case involving damages caused by equipment owned and maintained by a utility (power lines; transformers; water mains), an inverse condemnation cause of action should be pursued. The 1260.040 motion is an important arrow in the quiver of plaintiff attorneys in inverse condemnation cases. That arrow will likely hit the bullseye, resulting in an outstanding result for your client. In a recent opinion from the United States District Court for Kansas, the Court held that privileged communications given by an expert to opposing party’s counsel will remain protected under the work product privilege. The defendant’s expert in Lloyds of London Syndicate 2003 v. Fireman’s Fund Ins. Co. of Ohio accidentally included in his expert disclosure an otherwise privileged email between himself and defense counsel. Upon discovery the defendant’s attorney attempted to assert privilege over the communication, and plaintiff’s counsel refused—arguing that any privilege had been waived by its disclosure. 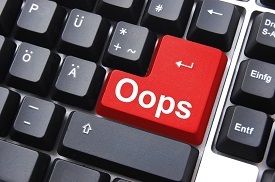 Prior to the expert’s deposition he produced a copy to opposing counsel of his written report, as required under FRCP 26(b)(2)(B)—however, he inadvertently included a series of emails between himself and defense counsel discussing the report. During the expert’s deposition, defense counsel recognized the privileged email was disclosed and immediately alerted plaintiff’s counsel of the privileged nature. Plaintiff’s counsel refused and claimed that the email’s privileged protections were now waived by the disclosure. The Court applied a five factor test to determine whether the disclosed information maintained its privileged status, or whether the disclosure waived these protections. The five factors looked at: (1) the reasonableness of precautions taken to prevent inadvertent disclosure; (2) the time taken to rectify the error; (3) the scope of discovery; (4) the extent of disclosure; and (5) the overriding issue of fairness. This test is applied in consideration of Federal Rule of Evidence 502(b), which states that privileged materials inadvertently disclosed do not lose their protection so long as the producing party took reasonable steps to prevent disclosure and rectify once disclosure occurs. 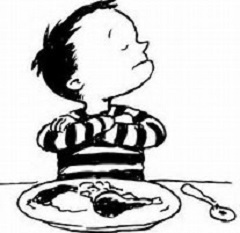 Plaintiff’s counsel argued that the five-factor test should not be applied under these circumstances because the disclosing individual was a testifying expert—as opposed to an attorney. The Court rejected that argument and instead held “it does not matter who inadvertently produced the information only that someone inadvertently produced it.” The court went on to state, “Although [defense] counsel could have monitored [defendant’s expert]’s culling [of privileged materials from his expert disclosure] more closely, the court nonetheless finds counsel’s actions reasonable,” and privilege was not waived. Ultimately, the court’s holding maintains that even when an expert inadvertently discloses an otherwise privileged communication, the party has not necessarily waived its right to privilege. Whether privilege can be maintained is dependent on satisfying the five factor test, and not necessarily on who may have disclosed the communication. One of the newest fads to hit the market place is the fidget spinner. It’s the palm sized three-eared triangular device with ball bearings that can be spun quickly when held between the thumb and index finger. They are promoted to relieve stress, enable children with attention problems to better focus on tasks, and provide mindless fun. As originally marketed, it was only slightly more sophisticated than that other timeless fad, the Pet Rock. Now, however, fidget spinners have gone high tech. You can get a fidget spinner with LED lights which illuminate when you spin it. You can also get one which has built in speakers and is bluetooth enabled so you can listen to music played on your cell phone or other compatible device. The speaker version comes equipped with a USB port for charging. There have now been multiple reports of the high tech fidget spinners erupting into flames while charging. 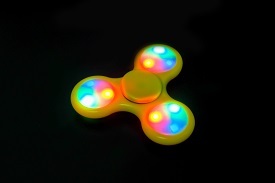 In one instance a consumer reported that after less than 30 minutes of charging, the spinner exploded, and in another case the spinner was charging for under 45 minutes when it burst into flames. The Consumer Products Safety Commission is investigating these incidents. There are no reported fires started by the Pet Rock. Annually, the first full week of May is known in California as “Wildfire Awareness Week”. This provides CAL FIRE the opportunity to highlight the importance of wildfire prevention and preparedness. 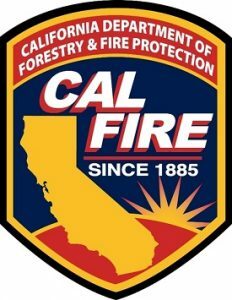 This year, with fires on the rise in California, CAL FIRE has launched a phone app to prepare individuals for the next wildfire. The app “CAL FIRE – Ready for Wildfire” can assist in preparing for a wildfire before it happens and alert you when a wildfire breaks out in your area. The main features of the app include tips and checklists to maintain your defensible space, to create an action plan, and to know what to do when a wildfire strikes. This is an educational tool, but also an emergency alert system. When you add a location or multiple locations (city for your home, business, family, etc. ), you can receive alerts on your phone when a wildfire strikes in the area. You can also have the phone track your location and receive alerts when a wildfire strikes in an area you are traveling in. This app seems to be a viable tool to provide timely, helpful information and resources if you have to evacuate due to a wildfire. The app can be downloaded from the App Store or Google Play Store under Cal Fire. Additional information can also be found at www.readyforwildfire.org. 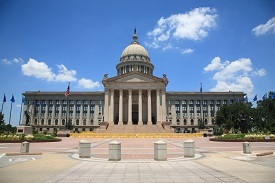 In 2011, the Oklahoma legislature overhauled the state’s workers’ compensation system, even going so far as to change the name of the law to “The Oklahoma’s Workers’ Compensation Code”. Portions of the new law were challenged and Oklahoma courts struck certain provisions of the new law after finding they were unconstitutional. The new law allows an injured employee to recover benefits under the Act while simultaneously filing a claim against a third-party. The employee is required to give the employer/carrier notice of the third-party lawsuit and provide the employer/carrier the opportunity to intervene. Once placed on notice, the employer/carrier must intervene in order to protect its subrogation rights. Section 43 of the new Act also provides a statutory formula which governs the distribution of any third-party recovery. First, reasonable attorney’s fees and costs of collection are deducted from the recovery. Next, the employer/carrier receives either two-thirds (2/3) of the remaining recovery or its entire amount of its workers’ compensation lien, whichever is less. The remaining balance will be paid to the injured party or their dependents. Importantly, the old Act required a carrier to pay a pro-rata share of the employee’s attorney’s fees and the costs incurred in recovering against the third party. However, for injuries occurring after February 1, 2014, the Act makes no reference to a carrier’s obligation to contribute toward the employee’s attorney’s fees or costs. It appears the application of the above formula is intended to replace the pro-rata apportionment. The new Act imposes a similar set of rules to govern actions initiated by an employer/carrier. When an employer/carrier seeks recovery from a third-party responsible for the injury or death, the employer/carrier must notify the injured employee of its intention to do so. Specifically, written notice must be sent to the injured employee advising them of their right to hire a private attorney to pursue “any benefits to which the claimant is entitled in addition to the subrogation interest”. If the employer/carrier recovers against the third party, the injured employee is entitled to any amount of recovery which is in excess of the subrogation lien, after reasonable costs of collection are deducted. A class action lawsuit claiming a product defect is used to recover damages for a large group of people harmed by the product. When receiving notice of a class action that may involve a product in one or more of your cases, you do have some decisions to make. If you have concerns that the amount of damages awarded to each claimant is too small, then you will need to determine, if available, if you wish to “opt out.” Each claim and each class action presents different factors that should be considered when determining whether to opt out. The size of the claim and the type of damages sought by the class action are two of the most important factors to consider. One benefit of a class action is that it allows for litigation of small claims that would not otherwise be economically feasible to pursue. The compilation of these small claims can result in a very low recovery amount to each class member. When the amount of a subrogation claim is substantially larger than the typical class members’ claim, and the amount of the claim justifies the cost of litigation, it is generally more effective to opt out of the class and pursue an individual claim against the manufacturer. Further, class action lawsuits are oftentimes pursued for many, many years, meaning that any recovery in an individual lawsuit will likely be received long before any recovery in a class action lawsuit. Oftentimes damages sought in a class action lawsuit are limited to the cost of replacing or repairing the defective product. This excludes the cost of repairing the damages the defective product caused, which is generally the larger, insured claim. In that situation, if the claim is not excluded from the class action by opting out, any claim for additional property damages will be barred by the legal defense of res judicata. Any additional property damages then become non-recoverable, so special attention should be paid to the opt out date noticed in a class action lawsuit. It is important to consider each loss independently in determining whether to opt out of a class action lawsuit. Although the amount of the claim and the type of damages being pursued are some of the most important factors to consider, attention should be given to the particular facts of the case and the provisions of the order certifying the class action. Earlier this month ABC news aired a special on what was characterized as an unusually large number of BMW fires across the country while the vehicles were turned off for hours if not days. ABC reported that they investigated over 40 parked car fires across the country over a five year span. Since ABC reported that the incidents involved vehicles not subject to any recall, consumer groups have been pushing BMW for an explanation. BMW responded that they had not seen any pattern of product defect issues with these fires and were critical of ABC for what it referred to as “sensationalist” reporting about cars catching fire. A link to the story can be found here. Regardless of where one stands on the issue, this reporting makes for an appropriate time to discuss vehicle fire investigations in general. While certainly our antennas should go up whenever we see a pattern or increase in fire incidents from a particular make or model vehicle, subro professionals should always be careful to not be presumptuous in any investigation of a vehicle fire. 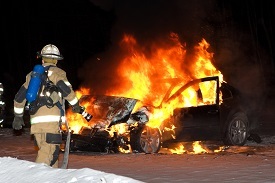 We must be mindful that the reasons for a vehicle fire vary. Potential non-incendiary causes include product defect, improper service, maintenance issues, and after-sale alterations to the vehicle. When receiving a subrogation case involving a vehicle fire, subro professionals should work quickly to get appropriate experts on scene to investigate the vehicle and surrounding area before the vehicle is moved and evidence is potentially altered. Often critical evidence from the cause of a vehicle fie can fall from the engine compartment into the fire debris below the vehicle. Moving the vehicle for later examination should only be done after this debris has been examined and preserved. Subro professionals should also work with the vehicle owner to get as much information as possible on the service history of the vehicle. Was there any major work performed on the vehicle, or merely routine oil changes? Did the insured routinely use only one service company, such as the dealership where the car was purchased (allowing for the argument that only one entity ever touched the engine compartment), or did the insured have the vehicle serviced by multiple service companies? Locating an exemplar vehicle for comparison during a joint evidence examination may be helpful to your experts. And certainly a review of the National Highway Traffic and Safety Administration’s recall website for vehicles should be examined, but a vehicle being on or off of this list should not be considered conclusive evidence that the fire was the result of a defect. It is absolutely true that properly maintained vehicles should not suddenly burst into flames and justify a thorough investigation. Indeed the list of potential fire causing defects are car can have are significant, be it faulty ignition switch, faulty cruise control hexport, improperly designed or manufactured fuel line, or a myriad of other potential causes. In fact, in 2015 a record high of 51.2 million vehicles were recalled through 868 separate recall incidents. However, subro professionals should not get the cart before the horse and presume that a fire which started from the engine compartment will lead to a recovery. As always, a thorough investigation should always be conducted. E.) The product reached the consumer without substantial change in its condition. Bifolck clarified how a plaintiff must prove the second element – the product was in a defective condition unreasonably dangerous to the consumer – when the plaintiff contends the product was defectively designed. 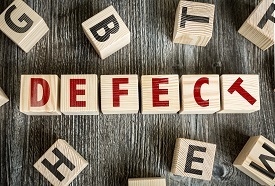 Bifolck held Connecticut’s primary test for determining whether a product is defectively designed is the “risk-utility test.” Under the risk-utility test, a plaintiff must show: 1.) A reasonable alternative design was available that would have avoided or reduced the product’s harm; and/or 2.) The product’s risk of harm so clearly exceeds the product’s utility that a reasonable consumer would not buy the product. The Court explained “these theories are not mutually exclusive,” and noted it would be “helpful” for a plaintiff to allege whether it intends to pursue prong one, prong two, or both prongs one and two of the risk-utility test. Bifolck also acknowledged a plaintiff can establish the second element of a product liability claim by showing the product failed to meet “legitimate, commonly held, minimum safety expectations,” known as the consumer expectation test. Subrogated carriers pursuing design defect claims in Connecticut must be immediately mindful of two implications of Bifolck. First, while not yet required, there is a clear preference for a plaintiff to plead which prong(s) of the risk-utility test the plaintiff believes is most applicable to its claims. Carriers should draft pleadings accordingly. Second, carriers must work closely with experts to make certain the evidence and testimony presented at trial fits into Connecticut’s more clearly defined risk-utility test.